Last week, thanks to a few thoughtful and passionate members of my congregation, we celebrated the retirement of two sisters in Christ. One has retired from the financial industry, while the other from the medical sector. Both have been very ardent Church going members, dearly loved by the people in the Church. I gave a short exhortation for these two persons and invited the rest of the people to eavesdrop. This week, I will summarize what I have said that evening, and expand a little bit on the points I made. For a person more than 2000 years ago to speak so profoundly on the nature of the human individual, this is impressive. In our modern era, we are gravitated toward bigness, the powerful, the speedy, or any positive superlatives like great, gigantic, and gargantuan. The computing world magnifies power and speed through maxims like 'faster is better,' 'powerful is wonderful,' 'big is greater.' The consumer world advocates more as better. We see supermarkets selling goods in quantity by introducing 'huge' savings if we buy more. Hypermarkets sell things in bulk on the basis of value for money. Manufacturers bundle in a lot of stuff that we usually do not need together with some basic commodity that we need. Unfortunately, many of us in our aging years bring these ideas into our thinking as well. We lament at our 'slowness' in getting things done when we see our younger colleagues doing more things at three times our speed. We are discouraged when we can only do one job while our juniors accomplish three tasks in a multitasking environment. We walk while they run. We single task as they multitask. We work with frequent pauses while the young does not seem to need any rest! The main problem with such a lifestyle of speed and might is this. As one tries frantically to make things happen, they risk rushing into doing things without adequate reflection. A story was told of a Chicago man who receives a request for an interview from a company located in Portland. After packing his bags and making his travel arrangements, he begins to think about how efficient he is in his logistics. Unfortunately, in his rush to get things done, he fails to clarify exactly which Portland the company is in. Upon arrival in Portland, home to the nice Western coast of Oregon, he is horrified to realize that the actual interview is in Maine, all the way to the Eastern part of the United States! No matter what, there are many things in life that cannot be measured by speed, by might, or by physical abilities. This is because life is not always quantitatively determined. More is not always more. Less is not necessarily bad. A recent article in ChristianityToday laments the trend of modern higher education that is introducing secular values that displaces the importance of wisdom. They focus on technical knowhow, content, and the frenetic focus on specialization. All of these quantitative measurements are accomplished at the expense of qualitative factors such as wisdom, character, and judgment. Cicero reminds us again that there are things that old age will enable one to develop more and more. The older we become, the more we realize that the futility of life is real. We learn from one of the wisest man who has ever lived, Qoheleth in Ecclesiastes. He reminds us that it is not a wise thing to constantly harp back at the past, saying 'Why are the old days better than these?' Such good-old-days thinking is prevalent among the older folks. When they see that they are no longer as competitive as before, as efficient or as competent as in the past, they start to feel depressed. Wisely, Qoheleth reminds us that such thinking is not good. Even the mere 'asking' of such a question is rendered foolish. By being fixated on the past, not only do we bog ourselves down with unhelpful nostalgia, we miss out the opportunities to live a brand new phase of life, to reap the benefits of what it means to grow old. For Christians, think retirement in terms of RE-TIRE. Like fixing in All-Season tires when Spring/Summer approaches, or Winter tires before the cold and the snow comes, re-tirement is about receiving old age as a gift rather than a dreaded stage of life. We say goodbye to the old phase and greet the new phase with a bright 'hello.' We re-tire our lives in a way that recognizes our new stage of life. Like Cicero, we can learn to be more reflective, to appreciate more about character building, and to develop a heightened sense of discernment and wise judgment. These characteristics are sharpened even more as one reflects back on the past years of old. In other words, the years that have gone by are not to be lamented merely as the good-old-days. They are essentially past events, valuable lessons, and personal stories that help one to live better, live wiser, and live more meaningfully. Instead of good-old-days thinking, I suggest the following 5Rs of RE-TIREMENT. Far too many people are buying books without actually reading them. They have become book collectors rather than book readers. Their bookshelves are full and some books remain in a shrink-wrapped condition! Perhaps, as one prepares to slow down, they can pick up the reading habit all over again. Read widely to supplement one's life learnings by interacting with some of the wise authors. Appreciate life through the literary gems. I recommend Joan Chittister's 'The Gift of Years' and Billy Graham's 'Nearing Home' as two possible books to begin your reading quest. Physical exercise is a legitimate spiritual discipline. In fact, the older we get, we need to make sure that our physical conditions do not be compromised. Instead of running, why not walk? After all, health experts have said that by mere walking, one can meet the exercise requirements by at least 50 percent! Moreover, if the old can keep fit, it is a valuable contribution to society as well. Healthy individuals mean less stress on the national health system. It means more money saved for society. It creates lesser burdens for the young who are already struggling with the many challenges in this tough life. As the elderly re-energizes themselves, they too are setting forth a good example for the rest of society to follow. Talk about leading by example. The common catchphrase in our conversations is "I'm busy." This catch-all excuse can be used in practically any situations. 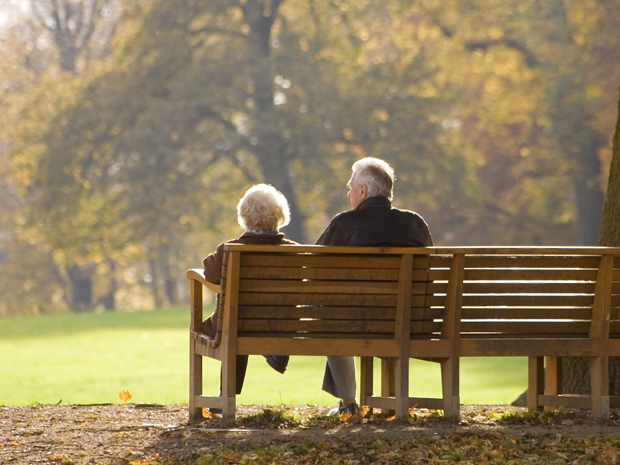 Retirement phase is a good time to simply learn to slow down and relax. Like Jesus' teachings in Matthew 6. Look at the lilies of the field, or the birds in the air. Contemplate how God has fed and clothe them. It is a great opportunity to reflect and ponder about God, and the spiritual life that we do not normally get to appreciate. Chances are, the more we relax and give thanks, the more we learn to appreciate the little things in life, and the little acts of kindness done for us. Finally, as the old increases in wisdom, character, and discernible judgment, they can become excellent mentors to younger ones among us. They can share of their experiences. They can learn how to say yes and when to say no. As they seek to disciple a younger person by reaching out to them, they are helping to fill in the gap that the young needs. In an age where Universities, colleges, and workplaces, have become so sidetracked by competence and efficiency, the older folks among us can help to supplement these temporal things with something more eternal: Wisdom. Reach out a little more and to bless a younger chap. No one knows more about the futility of power, money, and fame than those who have tasted it and found it lacking. 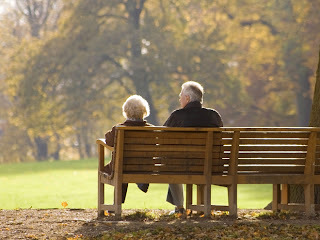 No one can appreciate the temporal nature of worldly things than the elderly and older people in retirement. Remember. Retirement is not a time to dread or to lament about one's physical prowess being halved. It is less about physical but more about spiritual. Let me close with Joan Chittister's words about old age. THOUGHT: "A burden of these years is that we might allow ourselves to believe that not being as fast or as busy as we used to be is some kind of human deficiency. Grow old gracefully inside, and graciously outside.